Oh hello, April. Fancy seeing you here. Of course we know all that “April showers bring May flowers,” mumbo jumbo, but the real winner in April is baseball season! Across the nation, fans are gearing up to celebrate their respective Opening Days. Which, by the way, why is Opening Day not considered an official holiday yet? 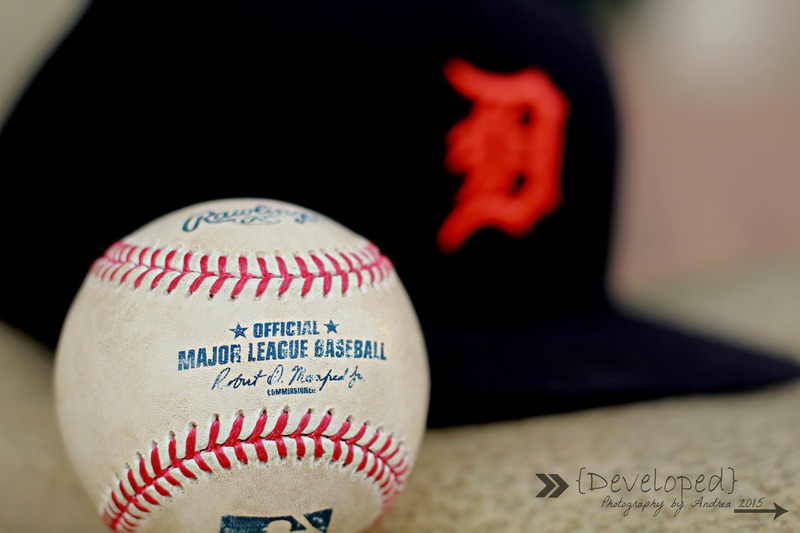 Here in Michigan, Opening Day for the Detroit Tigers falls on a Friday this year! So employers can expect tons of call-offs (again, why is not a holiday?). 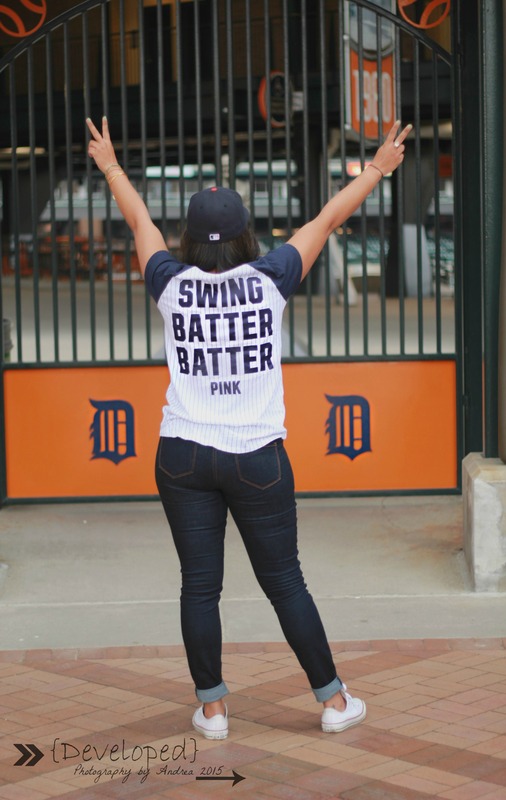 Opening Day is all about booze, baseball, and of course fashion – because you can’t root for your favorite team without sporting some fabulous paraphernalia. 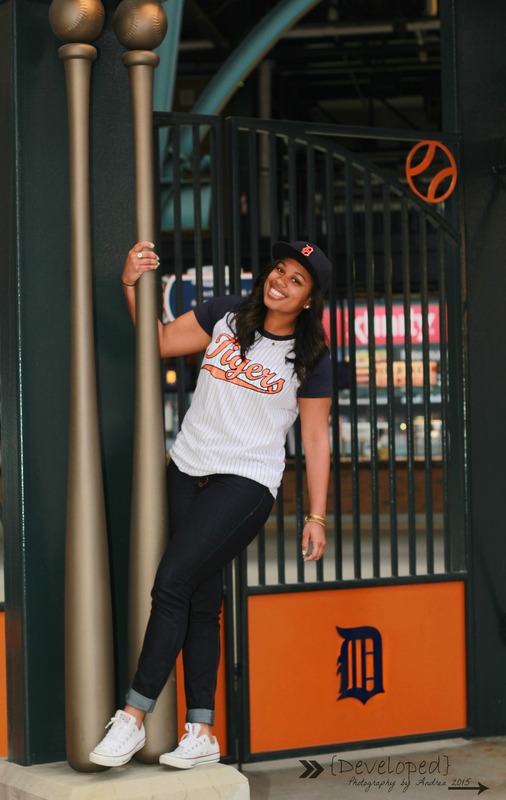 Check out two looks I put together to help get you inspired for Opening Day! There’s always the trusty Victoria’s Secret Pink t-shirt. 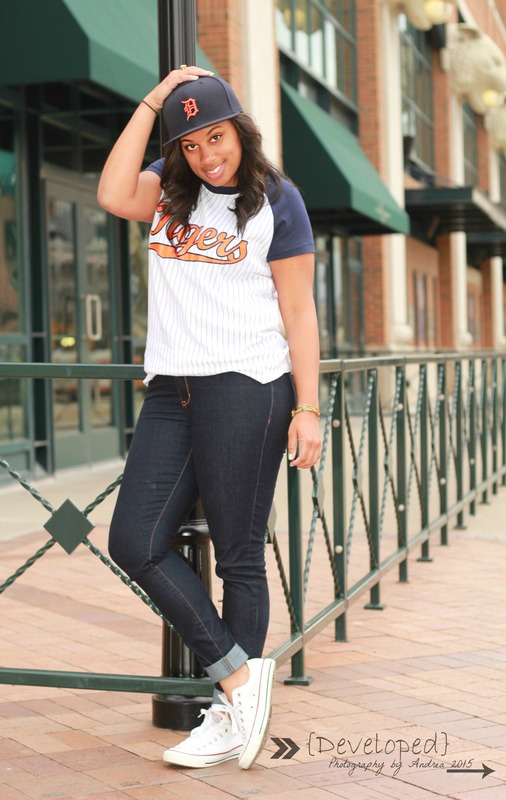 They are cute, comfortable, and fabulously show off that Detroit Tiger Pride. Each season, the Victoria’s Secret Pink T-shirt sports teams collections change up a bit, but there’s always some sort of sequins or fun text incorporated for a fun, playful feel. I paired my tee with jeans and Chucks for comfort and functionality. Then, there’s always that chance that you can sweet talk your beau into letting you borrow his extra Detroit fitted. Thanks, baby xoxo! 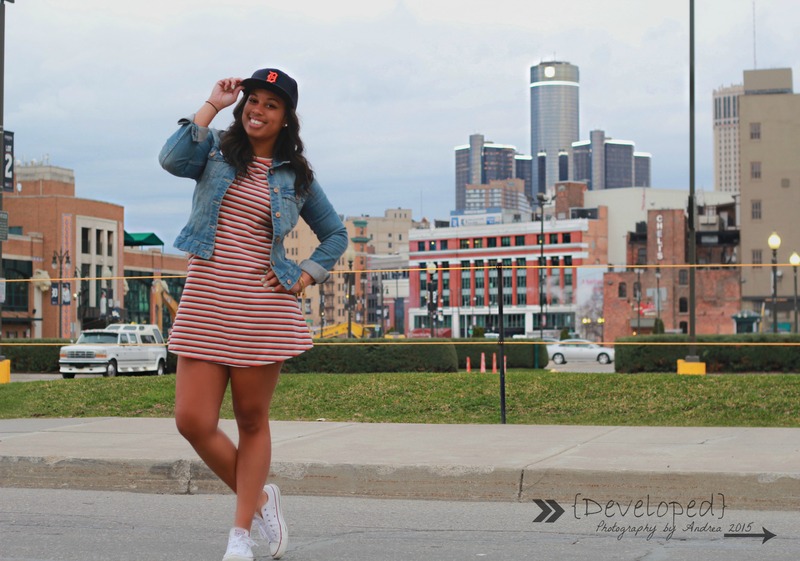 Nothing more Detroit than a hat with an orange D, right? If you’re feeling girly and flirty, try a dress option. I picked up this cute little dress at Forever 21 a few months ago and it perfectly reps Detroit Tiger’s colors. 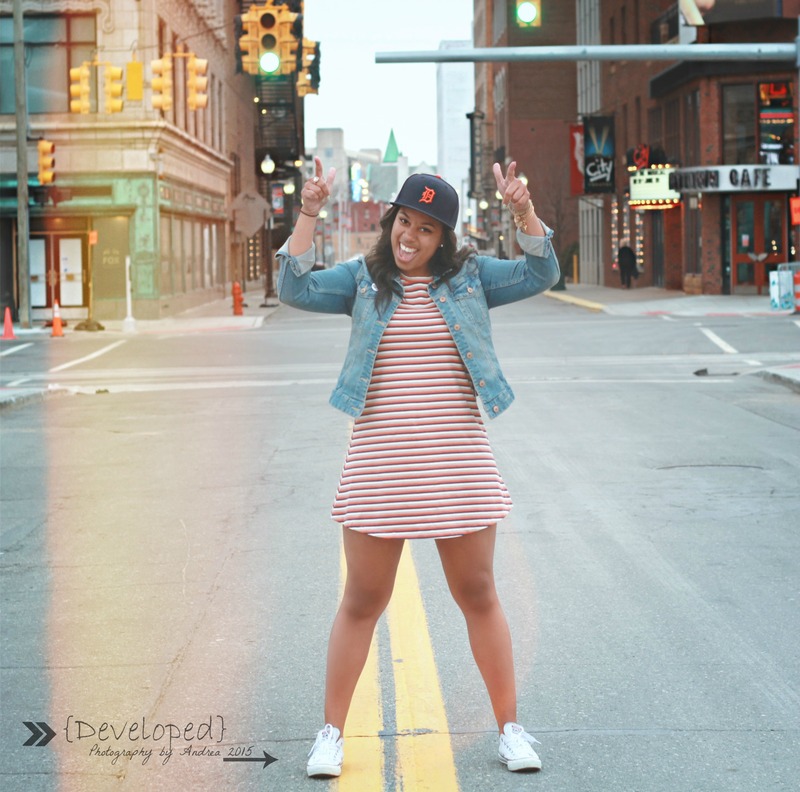 I’m sure you can always find a simple Spring/Summer dress donning the prevalent colors of your favorite baseball team at fast fashion retailers like Forever 21 and H&M. Throw on a light denim or bomber jacket, and you’ve got a complete look. Happy Opening Day! Dress and drink responsibly.